Using traditional recipes with new foods can be an easy way to try something different. Vegetables are also low in energy density, which can allow us to eat a larger volume of food for fewer total calories and still feel satisfied. One of the hardest things to navigate with eating healthy is having access to healthy food places. Many minority groups have a higher risk of chronic diseases that can be avoided by learning to maintain a healthy, balanced diet. By practicing better eating habits, you can lower your risk of heart disease, high blood pressure, stroke, diabetes, and other chronic diseases heavily represented in minority populations. Other benefits include fighting certain cancers, reducing the chances of asthma and glaucoma, allowing to nurture healthy babies, and achieving a healthy weight to avoid obesity. Many experts believe the DASH diet is the most beneficial for minorities. More than 37 percent of Black men and 44 percent of Black women have high blood pressure. 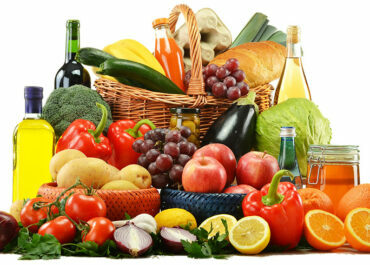 The DASH diet is low in fats and cholesterol, rich in fruit, vegetables, whole grains, fish, beans, etc. This diet limits sugar intake and red meat intake. The best thing about the DASH diet is that it allows you to eat as regularly as possible. For more information regarding heart health and maintaining a health diet, go to heart.org today.